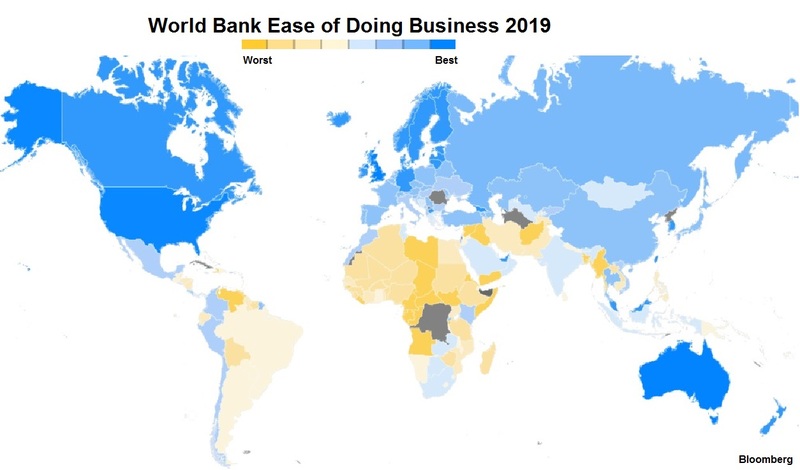 According to Bloomberg, The World Bank’s Doing Business 2019 report indicated that Afghanistan had moved up the most, by 16 spots, from 183th in last year’s ranking to 167th this year. China and India - two economies with the largest populations - are among top 10 improvers this year. Afghanistan, Djibouti, Azerbaijan, Togo, Kenya, Côte d’Ivoire, Turkey and Rwanda rounded out the top 10 most improved list. In addition, Djibouti and India are the only economies to make the 10 top most improved list for the second consecutive year. Various reforms had been carried out to warrant big changes in ranked positions, according to the World Bank. For the 3rd year in a row, New Zealand retained its position at the top of the Doing Business rankings. The remote country may be thousands of miles away from major markets in the West, but it may reap the benefits of global trade moving eastward as Asian economies take a larger slice of global growth. For starting a business, New Zealand has the lowest number of procedures required with only one, it also just takes half-a-day to start business. The United Arab Emirates moved up 10 spots to 11th overall this year. The UAE is the best-performing country in the Middle East and North Africa region. The United Arab Emirates made getting electricity easier by eliminating all costs for commercial and industrial connections of up to 150 kVA. The UAE ranked first in the getting electricity subcategory. The UAE has also taken measures to modernize its judiciary with training for improved efficiency. Malaysia improved to 15th overall from 24th last year. Among the subcategories, Malaysia ranked 3rd in Dealing with construction permits and 4th in Getting electricity. 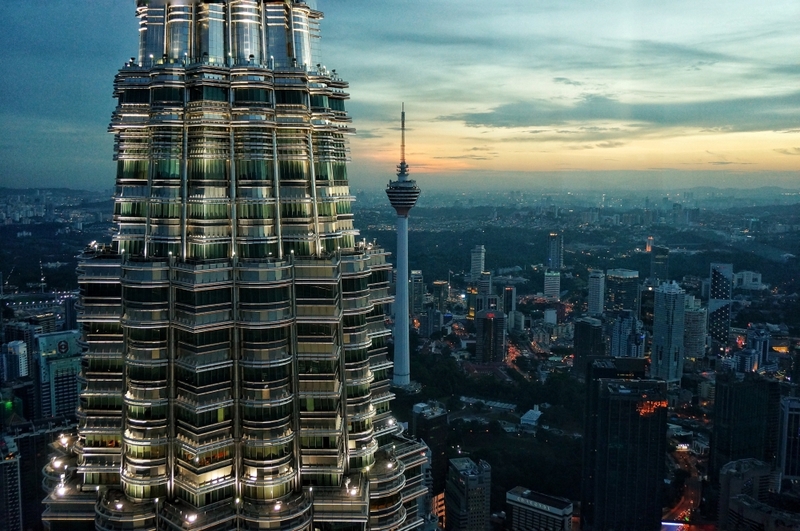 Malaysia made it easier to trade by strengthening infrastructure at Port Klang by opening a second gate with additional scanners, upgrading the management system, expanding two terminals. Among OECD high-income economies, Belgium recorded the largest improvement in Doing Business 2019 by strengthening access to credit and strengthening legal rights of borrowers and lenders. Belgium ranked first, once again, in the Trading across borders subcategory. On the area where the changing nature of work is causing difficulty in Belgium’s ease in doing business ranking is Belgium’s Labor Act of 1971 which enacted laws which limit employing personnel on Sunday and for firms to operate on Sunday. Djibouti’s score improved 8.87 points, second most of any countries in the report. Djibouti, the only economy from the Middle East and North Africa region in the list of 10 top improvers this year. Djibouti made starting a business easier by creating a one-stop shop for business start-up, according to the report. In the Protecting minority investors subcategory, Djibouti ranked second.